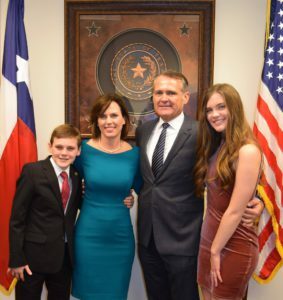 District 10 State Representative John Wray, now serving his second term as a Texas legislator, recently announced he will run for re-election in 2018. District 10 includes Ennis, Ferris, Glen Heights, Midlothian, Ovilla, Red Oak, and Waxahachie. Wray says he is proud of accomplishing several important items during the two sessions he has attended as State Representative. During the last session he sponsored two bills providing assistance to servicemen and women. The first honored active and retired military and first responders, guaranteeing the extension of workmen’s compensation for service related PTSD. 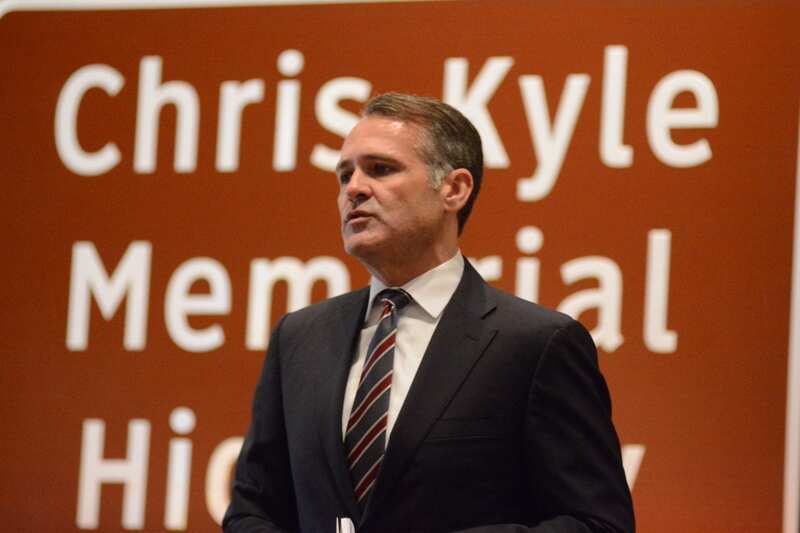 Wray also passed legislation for the naming of the Chris Kyle Highway in Ellis County during the 84th legislative session. Rep. Wray also sponsored a bill to make it easier for students who want to serve in the military, including the Marine Corps, to obtain scholarships for Texas schools. Three areas Wray hopes to focus on are (1) the condition of roadways, and ensuring they are improved and maintained by the state; (2) continue growing resources for our public schools to make sure they keep doing a good job; and (3) stress importance of higher education in order to provide an educated base for the new employers moving into Ellis County and other sections of District 10. Navarro College currently has a campus in Midlothian, partnering with four-year Tarleton State College for degree programs. Red Oak has a campus for Texas State Technical College. Rep. Wray and wife, Michele Wray, and their two children, daughter Morgan Wray and son Patrick Wray, live in Waxahachie. Wray grew up in Waxahachie, where he graduated from high school. A seventh generation resident of Ellis County, Wray graduated from Texas A&M University and University of Texas School of Law. After practicing law in Houston for six years, Wray returned to open a general civil practice law firm in Waxahachie in 2002. Board Certified in Estate Planning and Probate Law, Wray is also co-owner of Town Square Title. Wray contributes time to a number of civic and charitable organizations. He is an Affiliate Member, Ellis Hill Association of Realtors; and Affiliate Member, Texas Land Title Association. He belongs to Waxahachie Chamber of Commerce, Midlothian Chamber of Commerce, Red Oak Chamber of Commerce, and Ennis Chamber of Commerce. He is a member of the Waxahachie Rotary Club. Wray served as Director and Campaign Chair of United Way of West Ellis County; Director, Mid Way Regional Airport; District Chairman, Bluebonnet District, Circle Ten Council, Boy Scouts of America; Director, Education Foundation for WISD; and also served on Meals on Wheels Ellis County Advisory Council. He has been Director and Treasurer of Chautauqua Preservation Society; Director Waxahachie Crime Stoppers; Director The Waxahachie Foundation; Director, Waxahachie Senior Citizens Center; Board Member, Waxahachie Cemetery Board; and a Trustee, First United Methodist Church of Waxahachie. Civic offices included Waxahachie City Councilman (2008-2014) and Mayor (2013-2014).